To impact more lives with the message of the Gospel, we must go Beyond These Walls expanding into new communities by launching additional campuses. 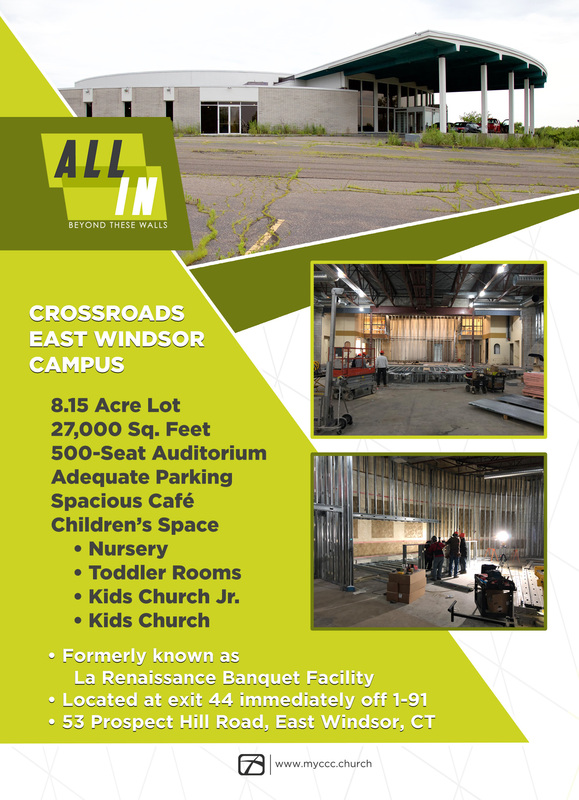 In the Fall of 2019, we will open our East Windsor campus at the former La Renaissance banquet hall. Our total challenge (May 2016 - March 2022) for renovation costs is 4.5 million. Beyond These Walls | All In campaign. We have to move beyond the walls of our current church so that we can extend Christ to our ever – enlarging circle of influence. 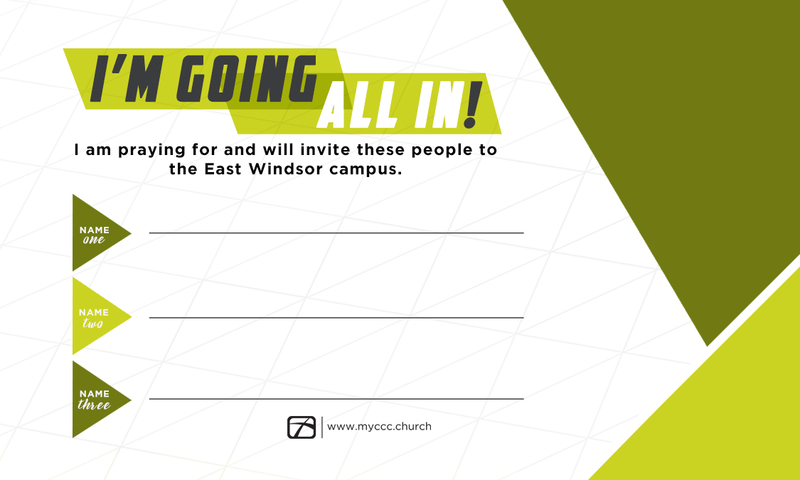 These items were created to answer some of the questions you may have about the East Windsor campus and to help you get involved. Some members of our Crossroads family want to share their perspective on being a part of the Beyond These Walls Campaign. God is sending people to Crossroads to hear the gospel, lives are being changed and the church is growing. Get involved in helping us make space for people both here and at our new campus. Follow our journey by liking our page on Facebook or following us on Instagram.